I wanted to do a little post on how you can make your own trims! 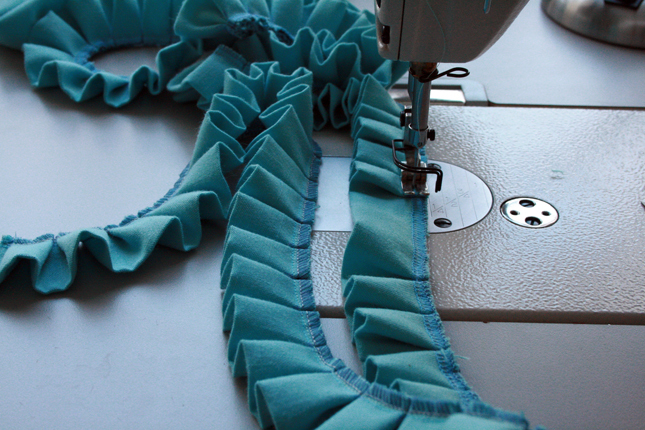 Make your garments more authentic by creating your own trims. I love texture on clothes! 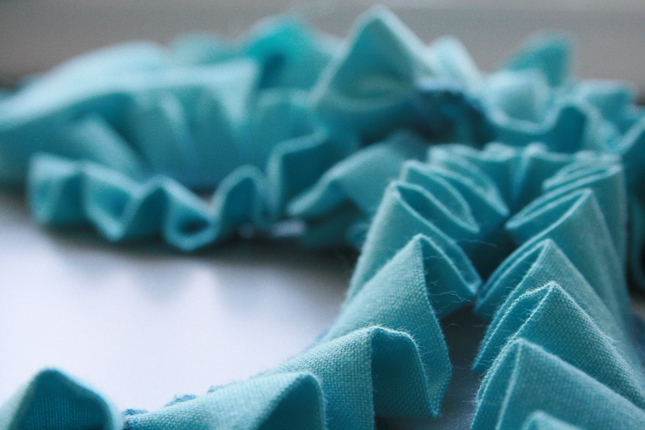 Ruffles, bows, pleating, embroidery, flocking, embossing. These kinds of techniques can be done billions of ways. The type of fabric, weight, and color are all variables in how the technique will look. Consider scale, proportion and the over-all silhouette when you think about texture. Make sure your collection is balanced and there is variety but also a cohesiveness. 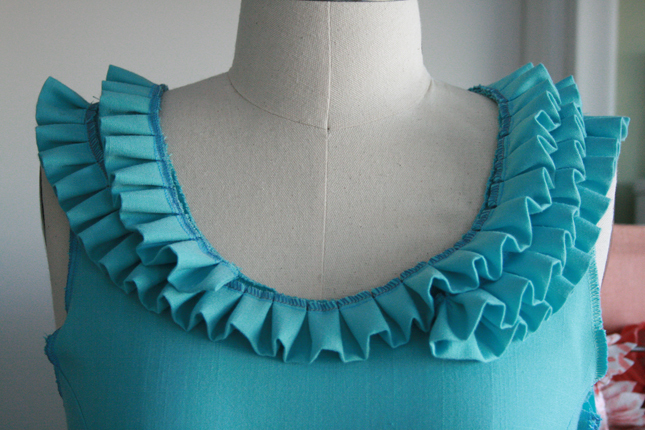 Here is the trim that I decided to make in my own fabric for a simple little dress I'm making. ﻿You can do it too! 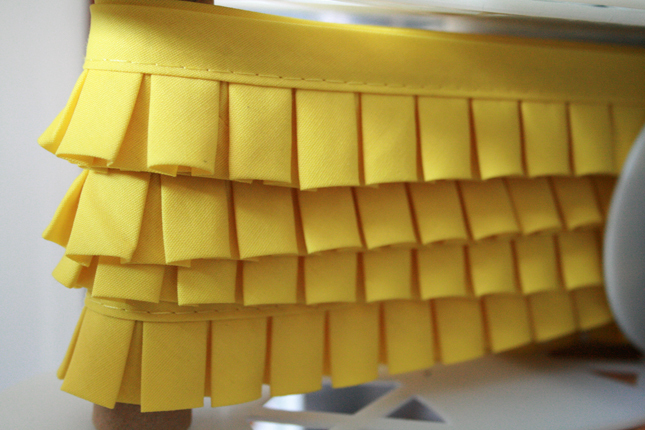 Use a disappearing fabric pen to mark off the width that you want the box pleats to be. I cut my fabric into 2 1/2'' strips and folded it in half and sewed the raw edges together with an overlock machine, so that the edges are finished and won't fray. Then just tuck the box pleats on your straight stitch machine. I don't use pins. The trick is to keep your needle down whenever you lift up your foot. This way, the fabric won't move around on you. 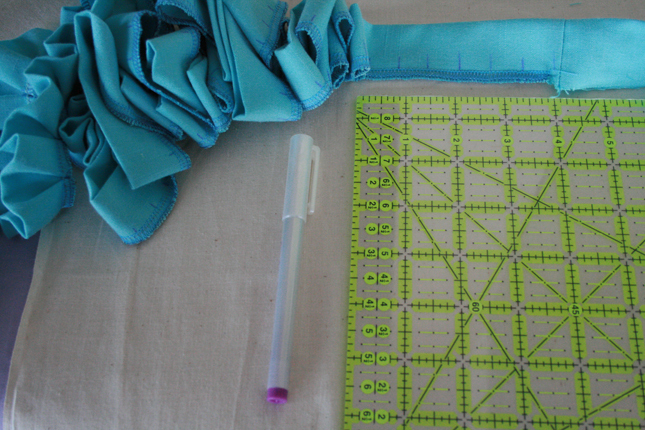 Lift the foot to its tallest height, make a nice tuck by lining up the marks that you made, put the foot down, and sew. 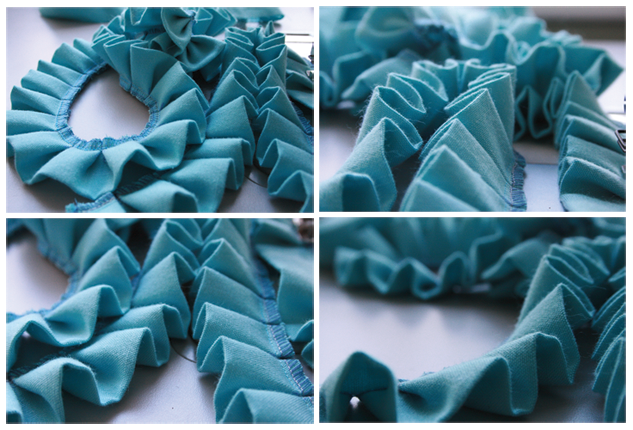 Keep doing this one box pleat after another. 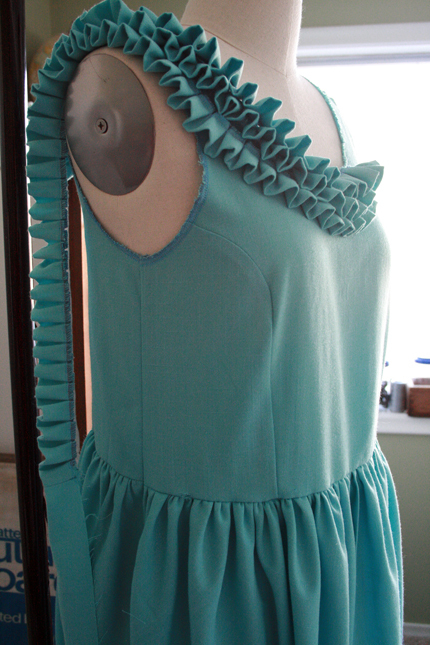 Sometimes I find it is easier to sew the first half of the box pleat and then the other half, rather than all at once. This way you only have to worry about keeping one tuck (or fold) lined up at a time. Next you can apply the trim to your garment. Try layering it and pinning it on in different ways to decide how you like it the best. If you have a sketch, you can consult your sketch and watch as your design jumps off the page and into real life. 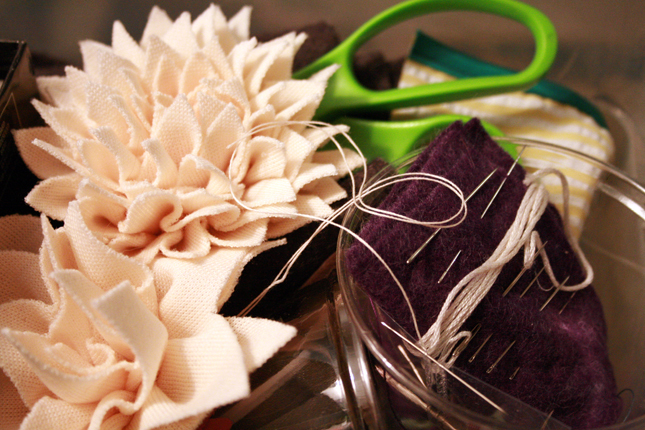 Remember, you can add in other trims or fabrics to create a feeling of depth. You can also layer different widths of the same trim. Every fabric will react differently, so make sure to find a fabric that will work well for what you want to do. Also, think about care instructions and the end-use of the garment. Does it need to be machine washable? If so, consider this when picking out your fabric and materials and also in the construction. A lot of the clothes that I make are dry clean only. My goal for this little dress is for it to be hand washable or machine washable on a delicate cycle and then clothesline or air dry. Please leave any questions, comments or tips for making trims in the comments section! This is my first visit to your blog and I'm curious, how did you get into this field? Have you been doing these kinds of things at home since you were small, or did you teach yourself at an older age? Thanks for the instructions -- I want to try this!